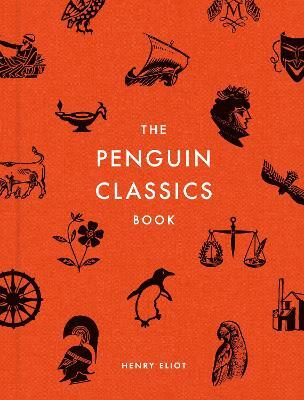 The Penguin Classics Book is a reader's companion to the largest library of classic literature in the world. Spanning 4,000 years from the legends of Ancient Mesopotamia to the poetry of the First World War, with Greek tragedies, Icelandic sagas, Japanese epics and much more in between, it encompasses 500 authors and 1,200 books, bringing these to life with lively descriptions, literary connections and beautiful cover designs. Henry Eliot is the Creative Editor of Penguin Classics. Before joining Penguin he organized various literary tours, including a mass public pilgrimage for the National Trust (inspired by William Morris), a recreation of Chaucer's Canterbury Tales which raised money for the National Literacy Trust, a Lake Poets tour of Cumbria and a quest for the Holy Grail based on Malory's Morte D'Arthur. He is the author of Follow This Thread and Curiocity (with Matt Lloyd-Rose).